I love baking pies but when it comes to posting the recipe I hesitate a little. It is understood that making a pie crust from scratch can be tricky at times, buying a ready-made pie crust sounds much easier right? 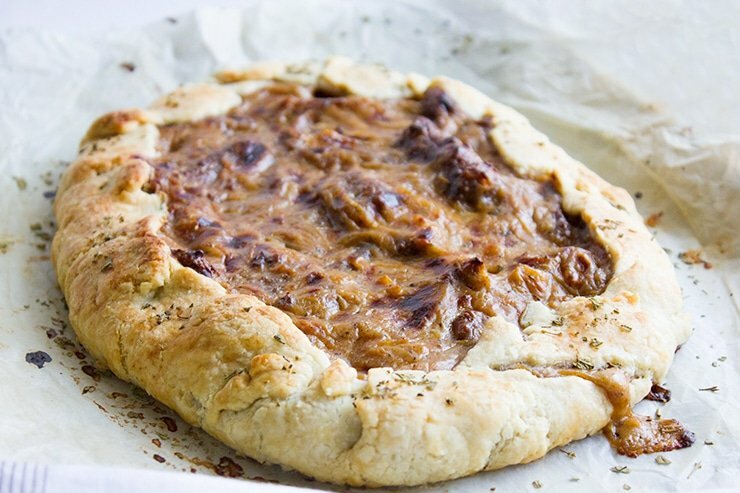 But this Sausage Caramelized Onion Galette tastes the best if homemade pie crust was used. 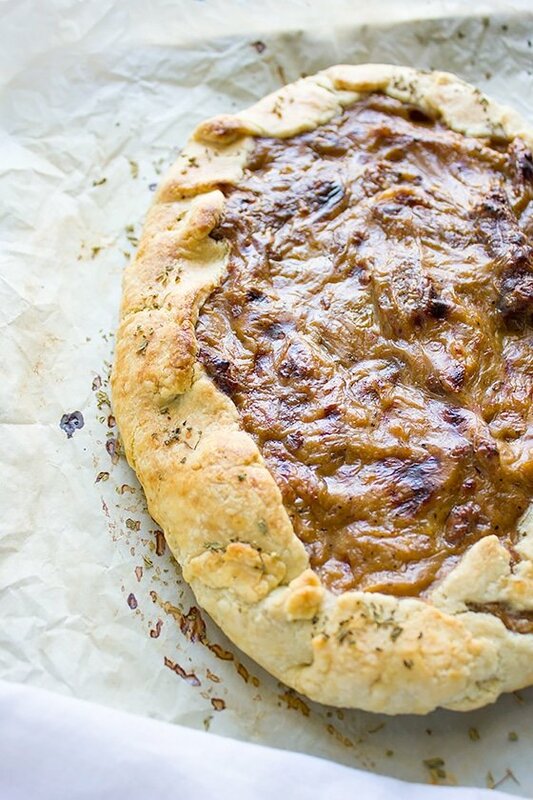 How to Make Sausage Caramelized Onion Galette. In my whole life, I never bought or heard of a pie crust that tasted better or as delicious as homemade. 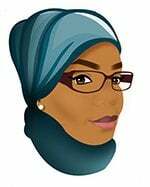 Trust me and get your ingredients ready. 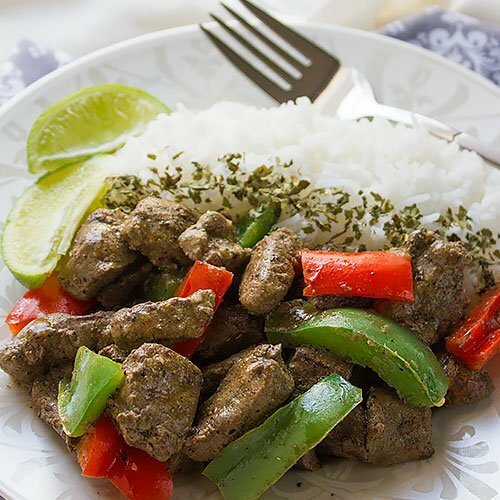 Today I’m going to share with you one of the dinners my family craves for, and the best part is the sausage! You can use any type of sausage you prefer, add as much or as little as you want. 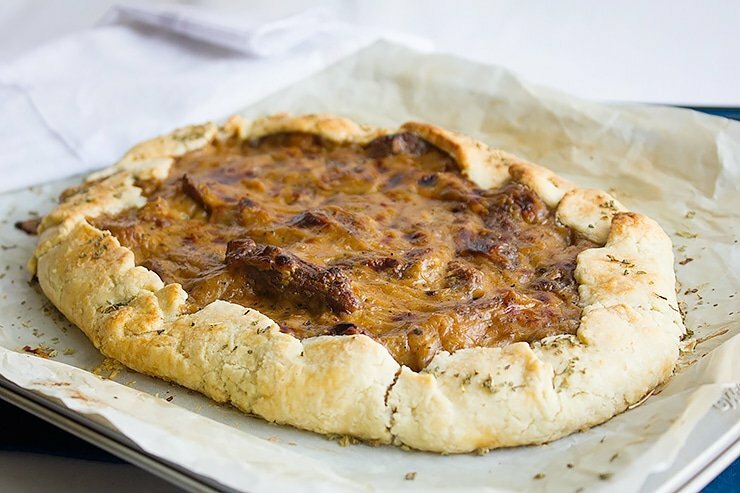 One last thing about this Sausage Caramelized Onion Galette, it may not look as pretty as other pies but one bite is enough to make you fall in love with it, I promise! 1 ½ cup cooked and diced sausage any type you like. Mix flour with water and keep aside. 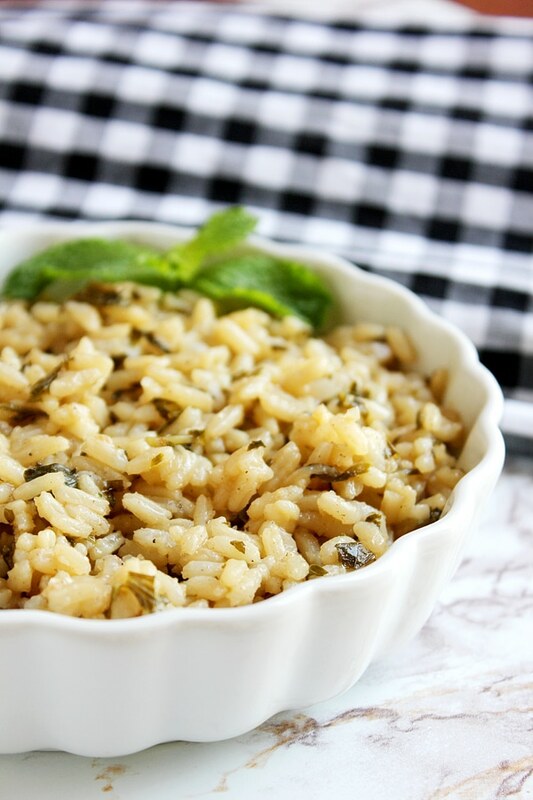 In a pan, add the oil and onion, sauté until onion is caramelized. Add the black pepper, oregano, and sausage. Pour the flour water mixture and stir on medium heat. 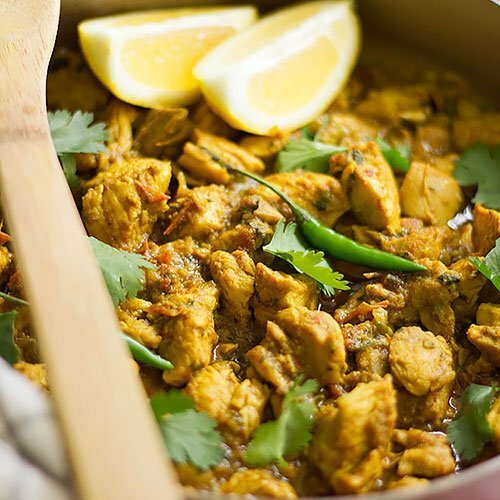 Pour the milk, season with salt, and keep stirring on medium heat until you get a thick creamy consistency. Let the filling come to room temperature. Since the dough is very delicate, cut enough parchment paper to cover your baking tray. Place parchment paper on your working surface and dust with flour. Place the dough on the parchment paper and roll out to 12-13 inches wide. If the dough is hard, then keep it out of the fridge 3 minutes before rolling. Place the parchment paper with the dough in your baking tray. Pile the filling in the center of the dough, then spread evenly but keep it 2.5 inches away from the edges. Fold doughs edges, up and to the center do this clockwise. You are right, the homemade crust makes all the difference. 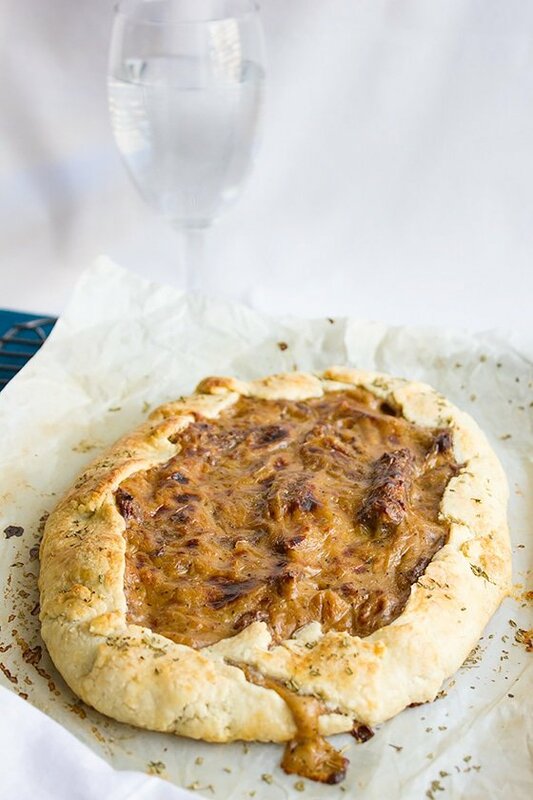 Your savoury galette looks amazing! I have fell for this one already! And homemade crust is always the best! I lost hope on store bought pie crust since long time ago, homemade crust always enhances the flavor of the filling!